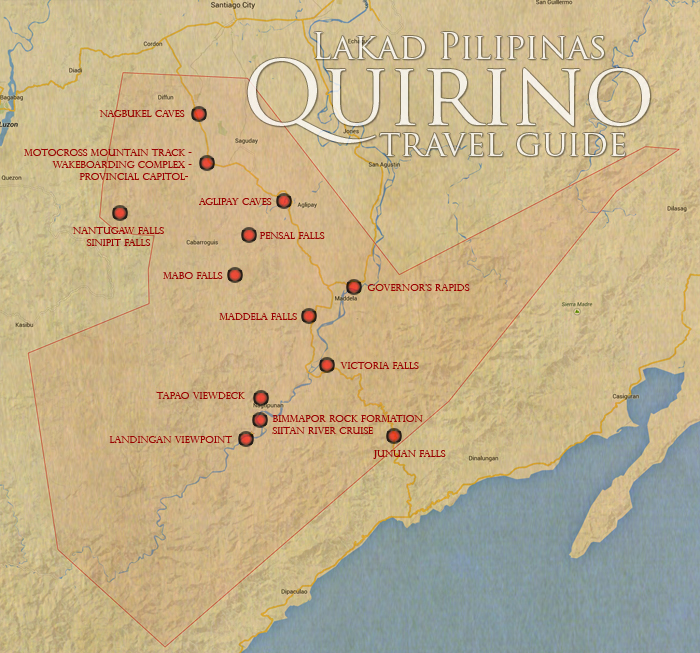 Quirino is a land-locked province found on the north eastern part of the Philippine’s Luzon Island group. 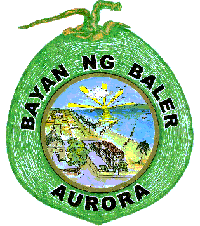 It is composed of six municipalities and is bordered by the provinces of Isabela on its north side, Aurora on its south east and Nueva Vizcaya on its west. Named after former Philippine president Elpidio Quirino, it used to be a sub-province of Nueva Vizcaya. 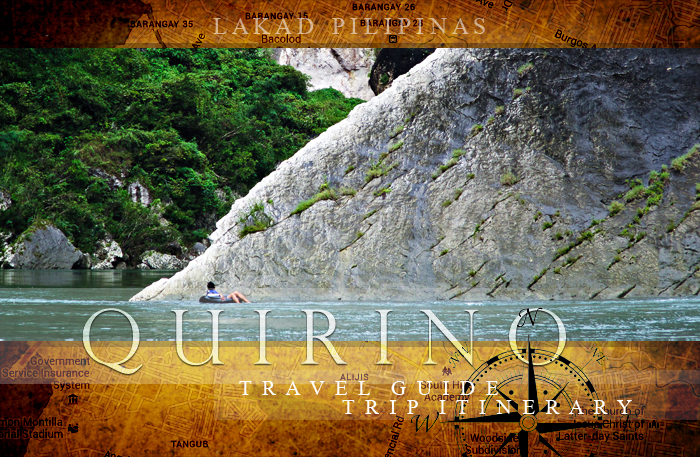 Popularly known as Quirino Province, the place is not usually found on the tourism map. But this does not mean that it has nothing to offer for visiting tourists. 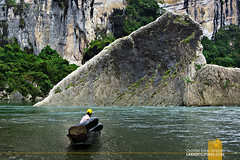 The province has massive and pristine caves for spelunking, river rapids for canoeing and tubing, exquisitely carved mountain gorges, verdant rolling hills that can rival those in Batanes, and as of last count, twenty waterfalls all within its land area. 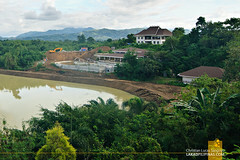 Tourist spots in Quirino cater more to eco-adventurers more than the usual sight-seeing travelers. It is one of the most underrated places in the country for tourism, but has so much to offer once discovered. 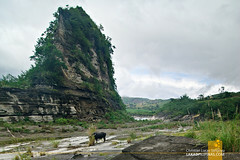 An itinerary of three days is the minimum to see most of Quirino’s tourist spots, but for a more thorough visit, you can stretch your itinerary to at least five to six days. There’s no easy way to access Quirino Province from Metro Manila. 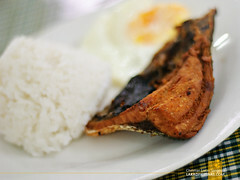 Directly, one can take a late overnight bus from Metro Manila and arrive at the town of Maddela the next morning. It’s time-consuming but less expensive than taking a one-hour flight from Cebu Pacific Air to Cauayan Airport in the neighboring town of Isabela. From there, one still has to ride a one and a half hour van ride to Cabarroguis, the province’s capital. Alternatively, one can also ride a one-hour flight to Tugeugarao City via Cebu Pacific Air and Philippine Airlines, then board a three-hour van ride to Quirino. There are bus terminals in Cubao, Quezon City and Sampaloc, Manila that goes directly to Quirino Province. 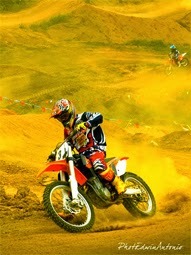 Most have a daily schedule to the province and usually rides out at night, arriving the next morning. Ticket fares are usually at around Php500.00, give or take, for a one-way trip. Please call the numbers provided for their respective bus schedules. There are two known bus companies that ply the Baguio to Quirino Province route, NA Liner and Kiangan Motor Service (KMS) bus lines ((0915) 947-1440, (0999) 849-2106, (074) 304-3113). Both have daily trips to Madella, Quirino. Passenger vans, pick-ups and ordinary buses regularly ply the Aurora-Quirino route. 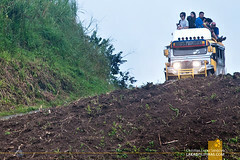 These trips last for about three to five hours on the mountanous road of Aurora's Dipaculao municipality. During our stay in Quirino’s provincial capital, Cabarroguis, I noticed the lack of transportation in the area. From what I observed, the most common mode of getting around Quirino is thru vans, both air-conditioned and air-cooled. I hardly ever saw jeepneys, but I’m sure they have a few; you just have to know their schedule. Tricycles are also available for short-distance travels. The absolutely best way to tour Quirino Province’s tourist spots efficiently is by contacting the local tourism office (0917) 416-5945 and hiring a vehicle. There are currently no packaged tours available for Quirino Province. What I recommend is to contact the local tourism office at this number: (0917) 416-5945, give them the number of days you’d be staying and allow them to make the best itinerary for the activities you want. 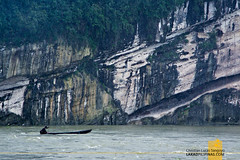 Just be sure not to miss out on the Siitan River Cruise! Most Quirinians use Ilocano as their language although most of them speak Tagalog and English fairly well. 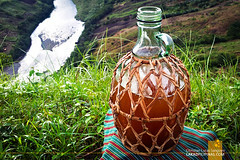 Some native tribes speak Bungkalot and a few in the upland regions speak Ifugao and Kankana-ey. 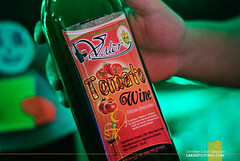 There are also some places where locals speak Pangasinan. Being an off the beaten path destination, Quirino Province is a bit lacking when it comes to places to stay in. You can literally count the number of accommodations, inns and lodgings in each town, but there are quite a few homestays one can sleep over at. That being the case, the rates for lodgings in Quirino is much lower than more popular touristy provinces. 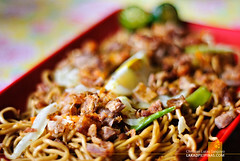 Quirino Province is a very provincial place; don’t expect to find fancy restaurants and fast food places in the area. 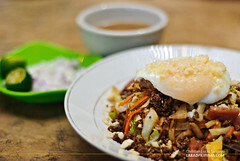 What it has are simply eateries like carinderias and panciterias where home-cooked dishes are served at very affordable prices. Be sure to buy early for dinner as most stores and eateries close by ten in the evening. 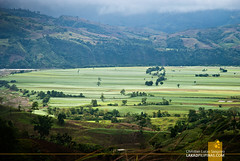 Quirino Province is like uncovering a pile of unpolished gems when it comes to tourism. It has almost everything an eco-adventure traveler craves for; motocross mountain grounds, a wakeboarding complex, lots and lots of waterfalls (20 as of last count), two river rapids, a beautiful gorge, huge caves systems and scenic rolling hills. There are so many places to see and things to do in Quirino that a weekend is not enough to tour all its spots. 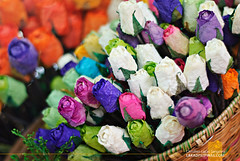 Fossilized flowers are one of the main product industries of Quirino Province. It is a part of their One Town One Product line and it’s so good, they even export it to Europe. 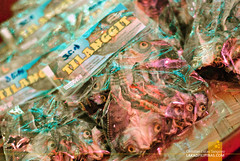 While there aren’t that many souvenir shops in the city, one can still find a few things to buy and take home as pasalubong even if they’re not usually found on gift shops. A weekend get-away is possible to tour the province of Quirino, but it’s quite short for the number of tourist spots found in the area. The best time to explore Quirino would be during long weekends, time your visit properly and get to experience the province’s many natural attractions. 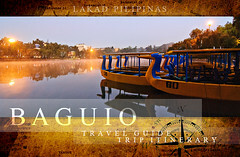 Below is a sample of a three-day Quirino itinerary, both for land trip and air travel. You can shorten this to two full days or lengthen it to cover more places, everything depending on your pace, time and budget. Dapat makipag-coordinate ang city govt. ang Santiago at Quirino province para perfect ang itinerary. 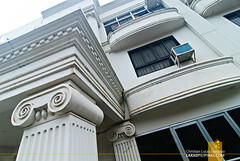 Santiago serves as the commercial and industrial center ng Quirino province din. I passed by Santiago City on the way to Cabarroguis, and indeed it is quite the bustling city. Sa Santiago City naman talaga namimili ang mga taga Quirino sa lapit. At halos araw araw. For souvenir hunting visit DigitalMAX i-Cafe & Enterprises at Purok 6 Capitol Hills, San Marcos, Cabarroguis, Quirino (beside Palm Restaurant), the shop that promotes Tourism in Quirino Province. We have t-shirts, mugs, key chains, ref magnets, etc. More or less mgkano budget po kng solo traveller? 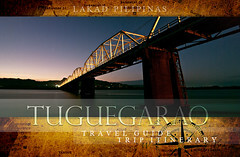 Pls contact the Provl Tourism officefor details at cp 09175000162 look for Ms Aurea Martinez, Tourism Officer. 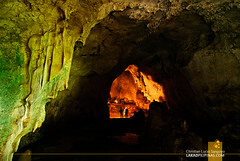 Sulit ang pagpunta namin sa Quirino last February sa 1 night 2 days napuntahan namin Aglipay caves, governors's rapid, siitin river, diamond cave, landingan point. Enjoy kami sa river tubing at lahat. Kung gusto nyo commune with the nature punta kayo sa QUIRINO PROVINCE, Babalikan pa namin mga waterfalls. Interesting place, how much kaya ang budget for solo ? Hi Christian! Can you give me a sample breakdown of expenses for you 3D2N trip in Quirino? I've been wanting to visit that place may it be solo or with a group. Big thanks! I would like to make a correction if I may. 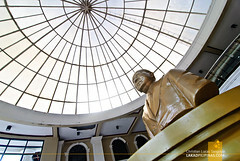 Quirino was never a province of Nueva Vizcaya as stated. It was a sub province of Nueva Vizcaya until 1971.The province of Quirino was formally established in 1972 upon the assumption to office of the first elected governor Dionisio A. Sarandi of Maddela, Quirino. Quirino has never been a part of Nueva Vizcaya but instead a portion of Isabela...but instead Quirino used to be a part Of Aurora, geographically but for political reason and easily for economic development too. Hi, I really love this article. I was wondering if I can do a road trip using your itinerary, what challenges do you think i'll have? I am also starting to get into photography, and are there any specific site you suggest as "not to miss"? thanks!